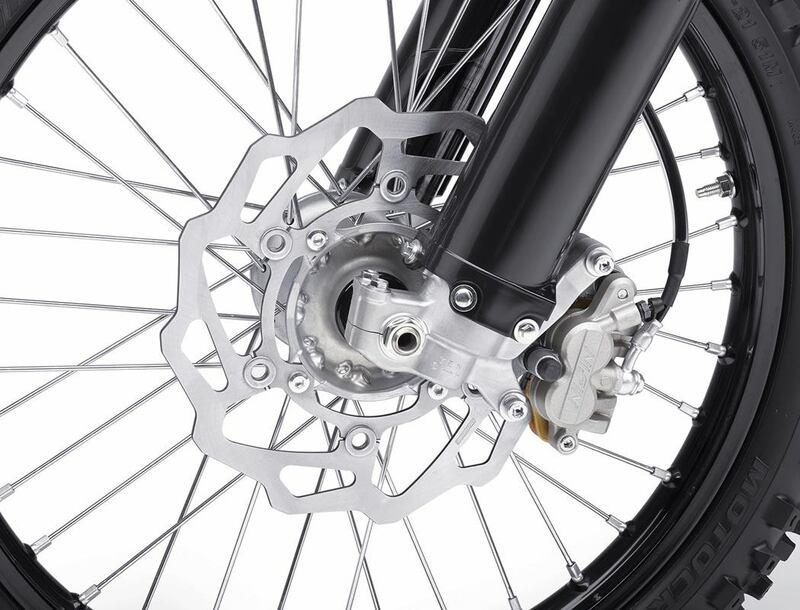 Clean bike with Rekluse 3.0 clutch. 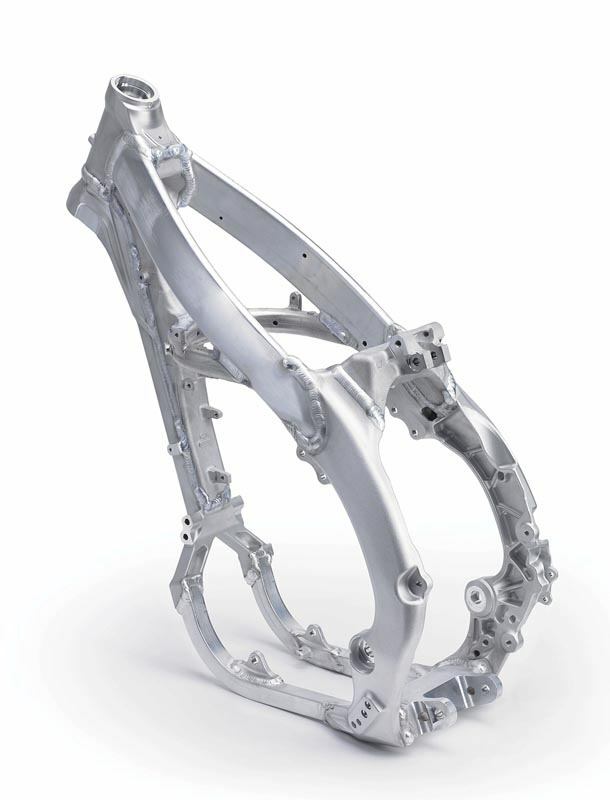 NEW SLIMMER, LIGHTER CHASSIS: Much lighter aluminum perimeter frame for sharper handling. 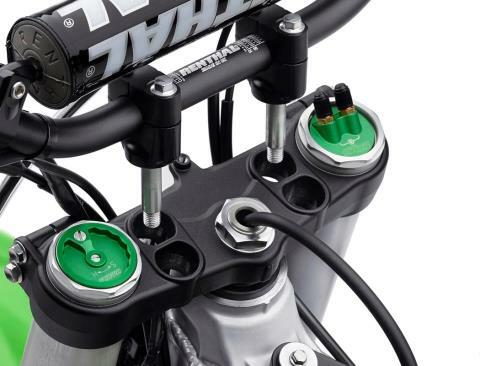 New forged down-tube for increased rigidity and front end feel. Slimmer perimeter spars and narrow shrouds allow easier rider movement. 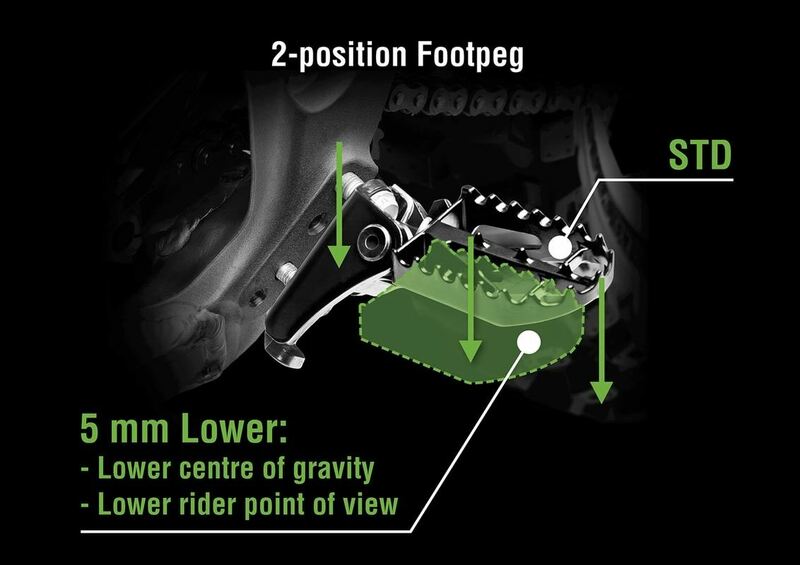 Optimized rigidity in a new swingarm to improve rear wheel traction. AGGRESSIVE BODYWORK: New bodywork is lighter weight with aggressive styling. Flatter seat makes it easier to change riding position. 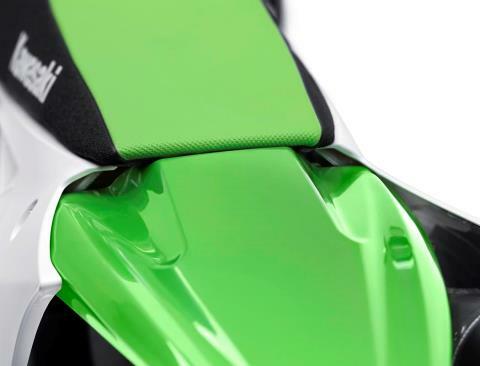 Smoother, seamless surface at the rider’s contact points. 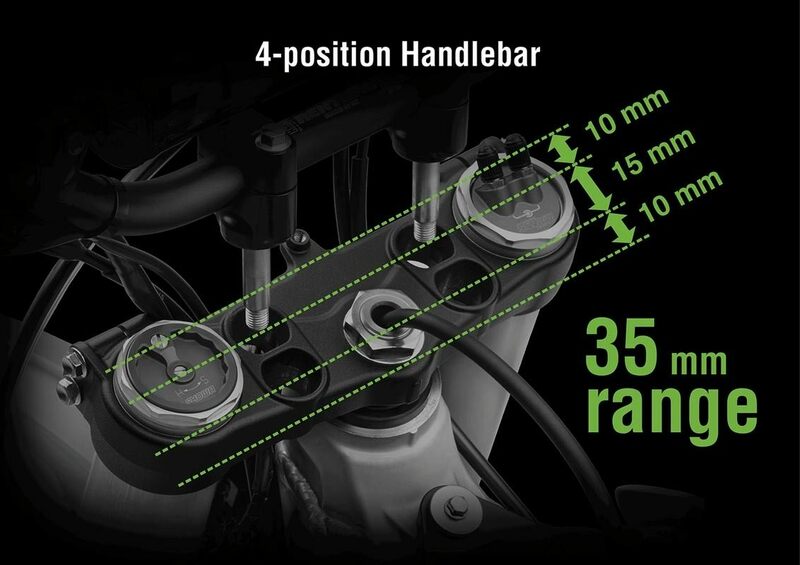 ADJUSTABLE ERGONOMICS: Adjustable four-position handlebar moves the handlebar towards or away from your body. Two-position adjustable footpegs help reduce knee angle when seated. 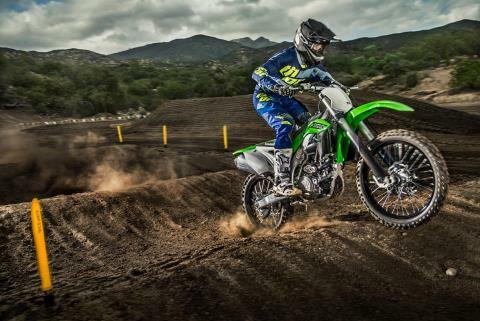 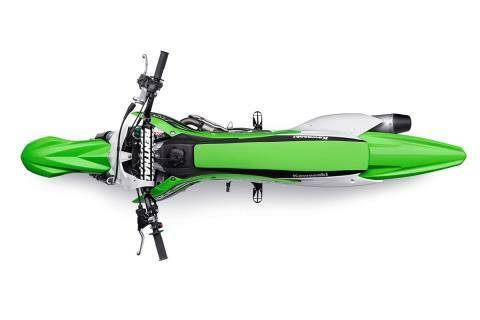 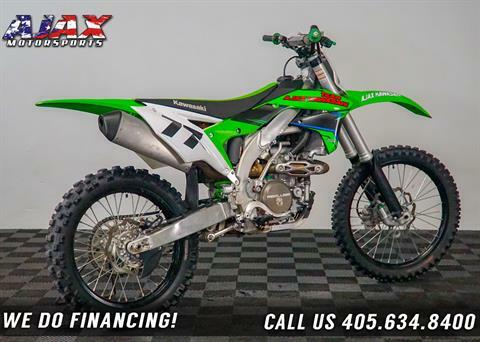 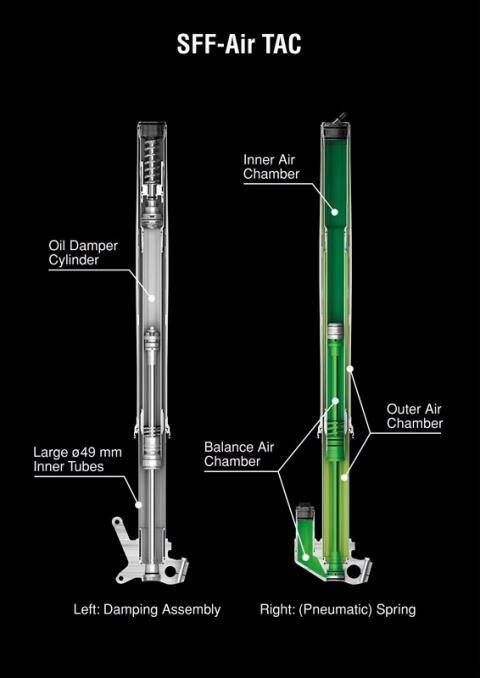 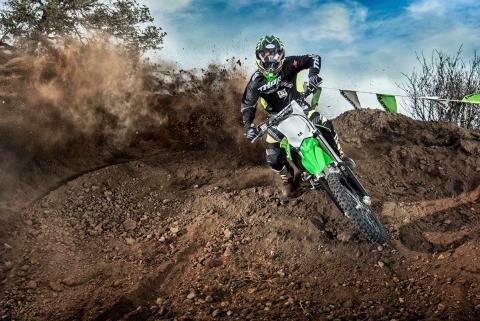 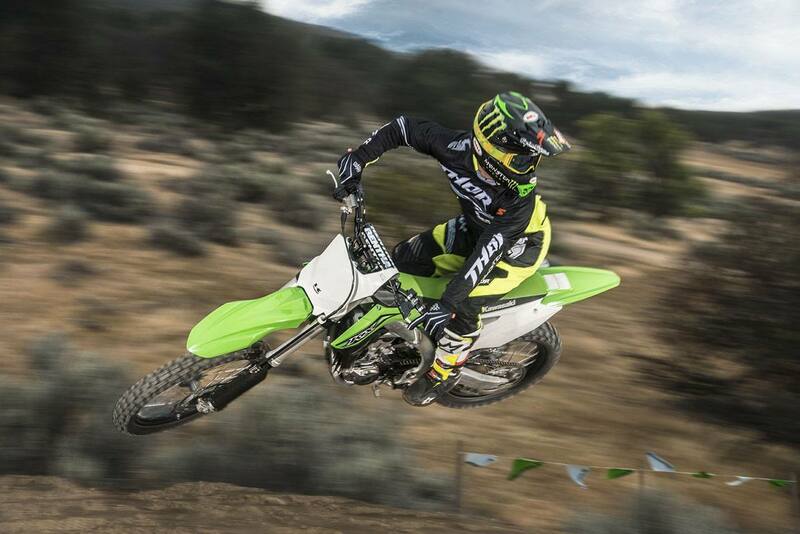 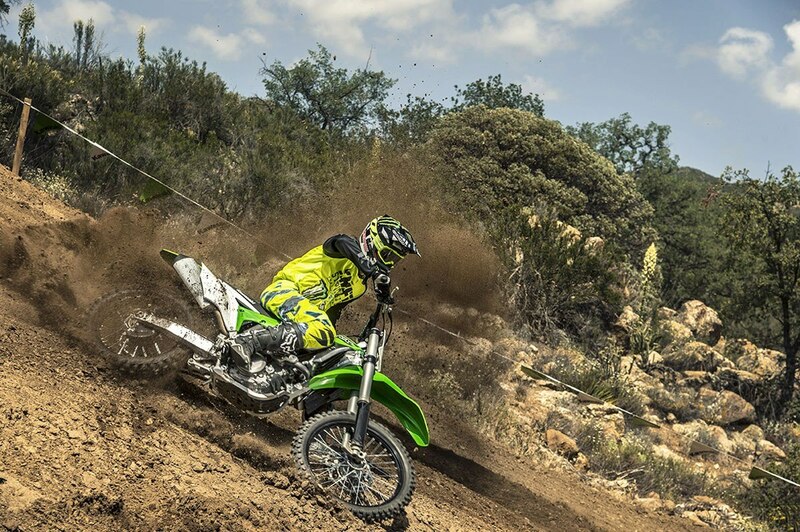 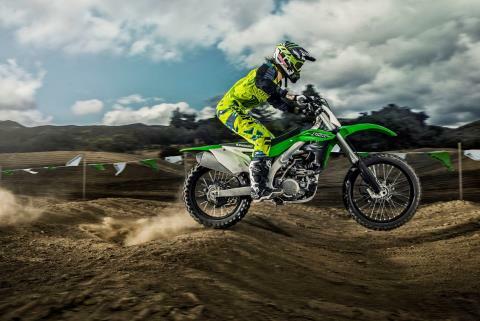 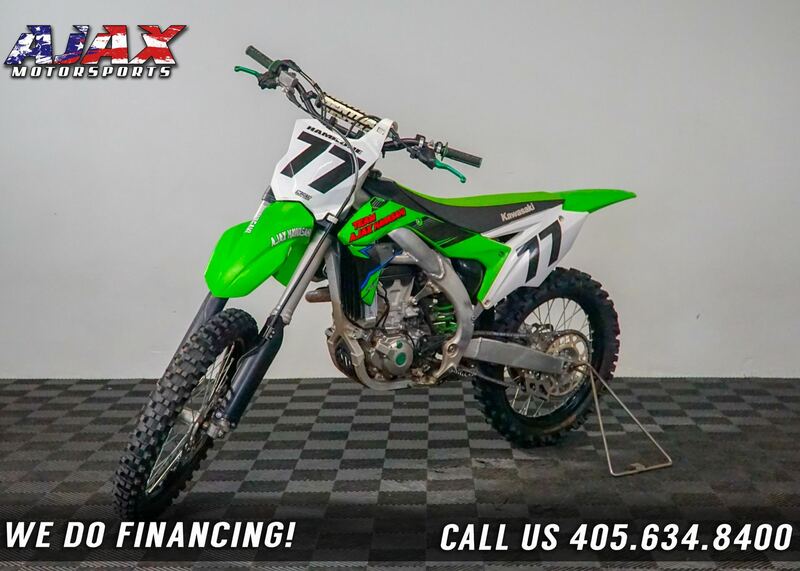 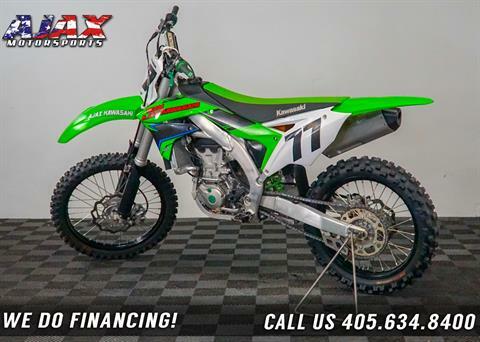 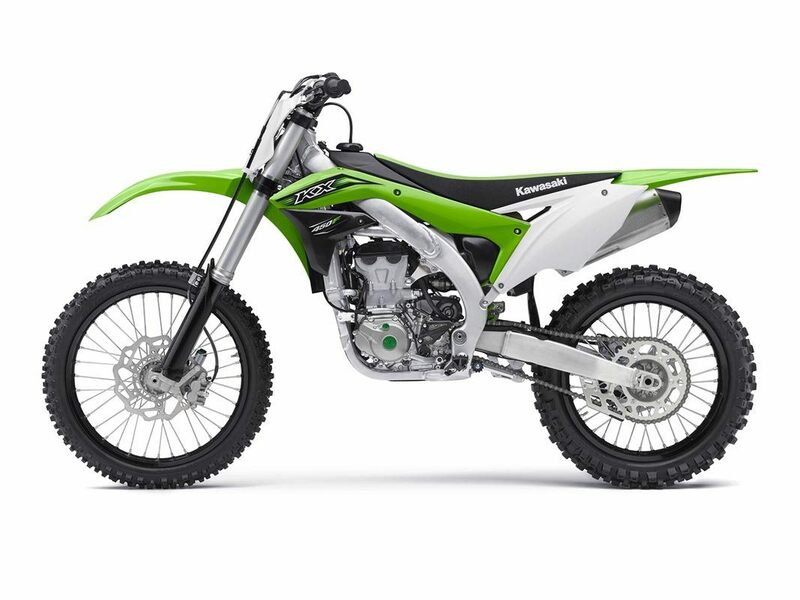 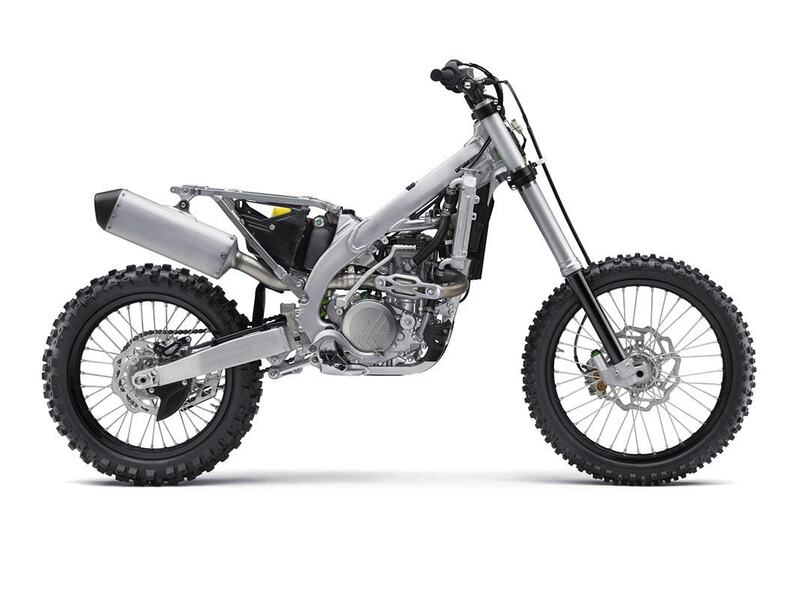 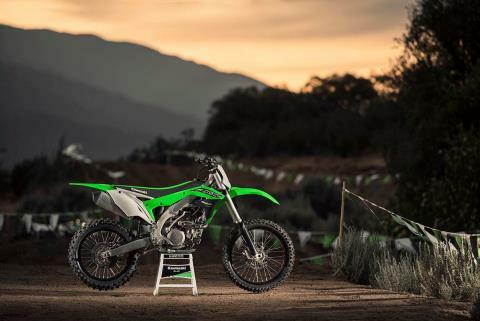 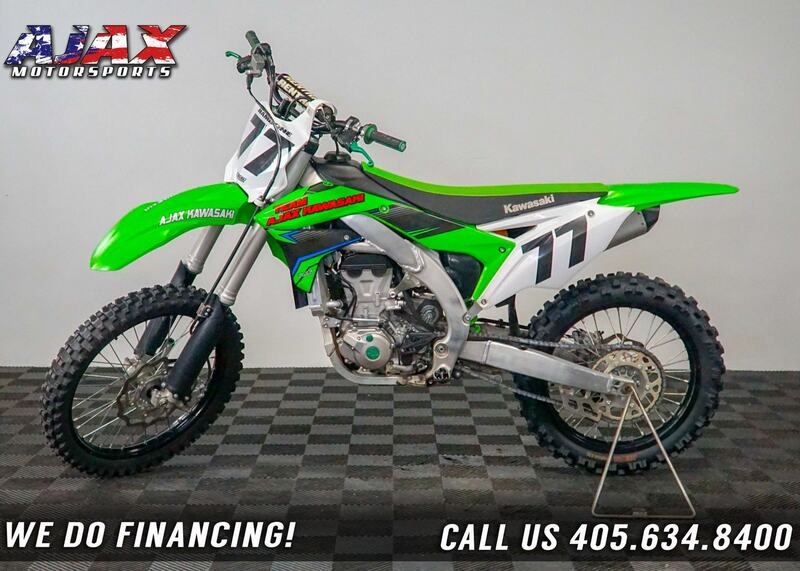 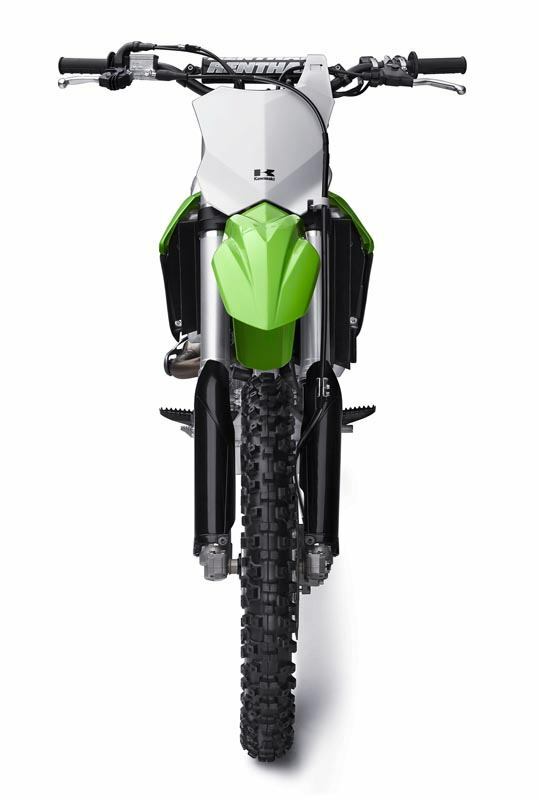 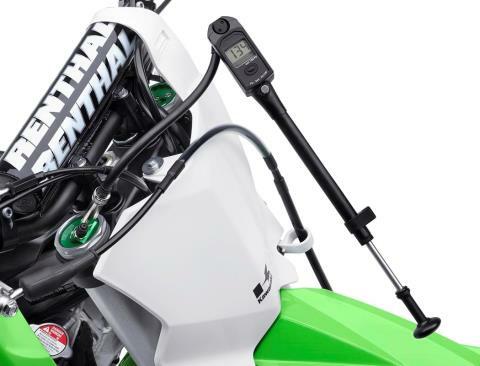 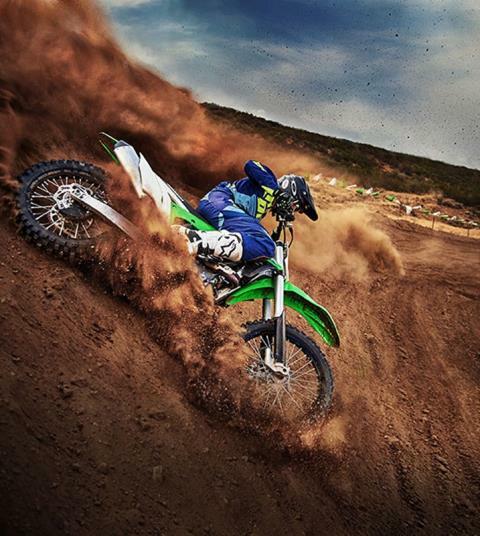 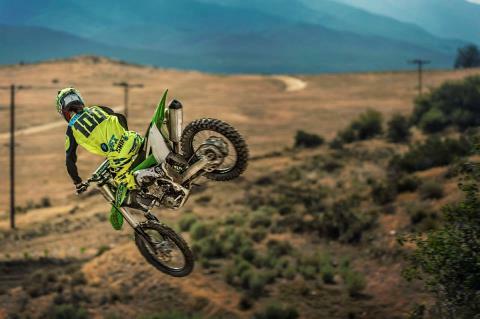 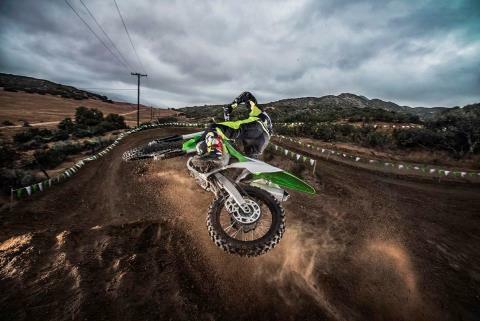 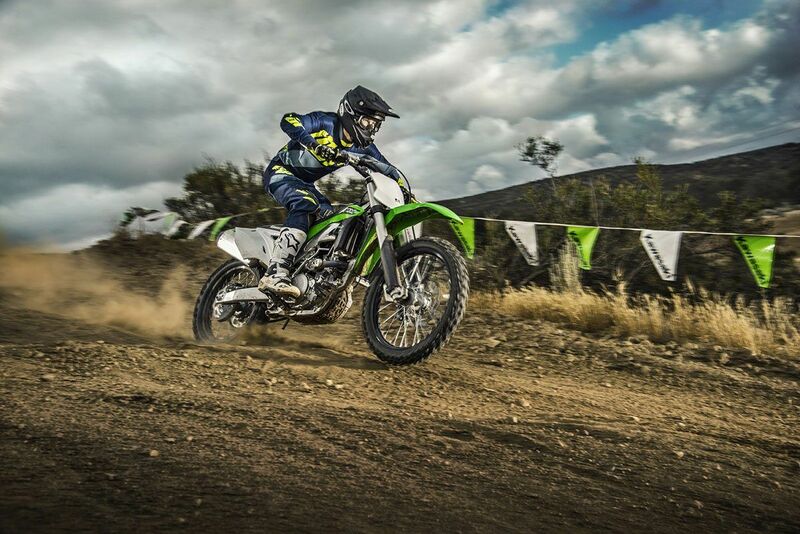 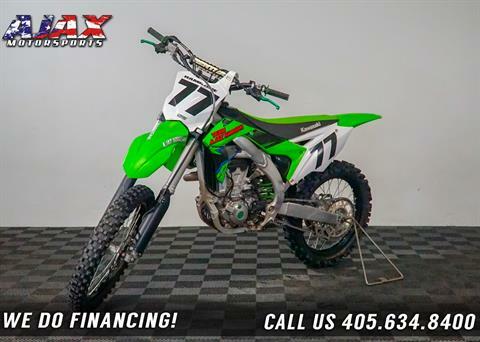 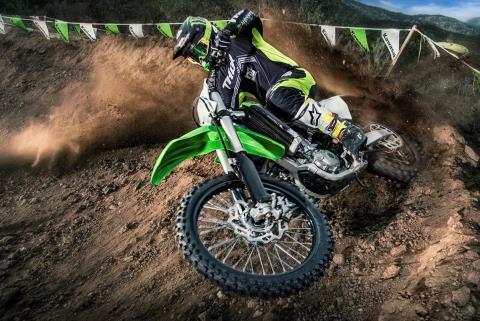 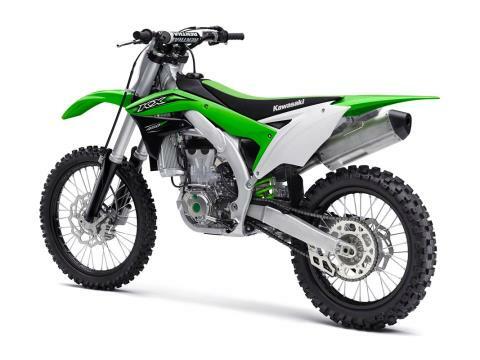 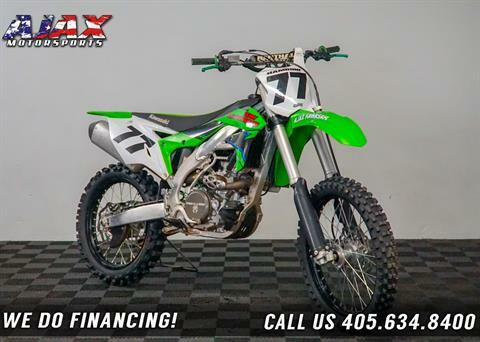 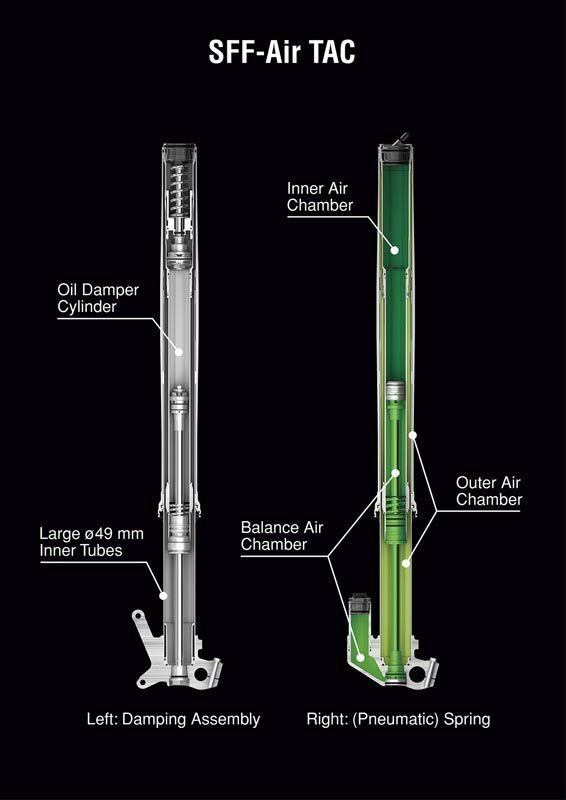 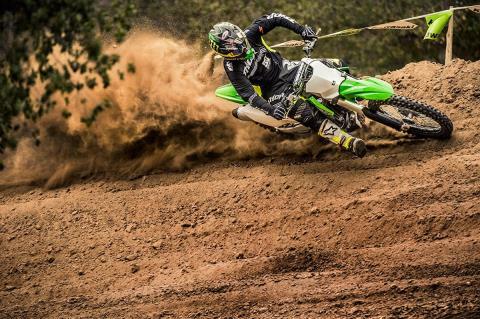 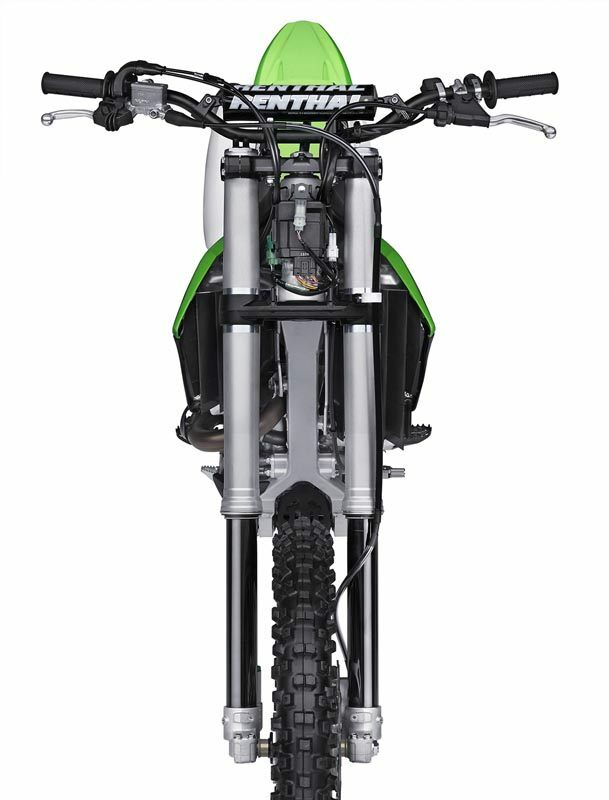 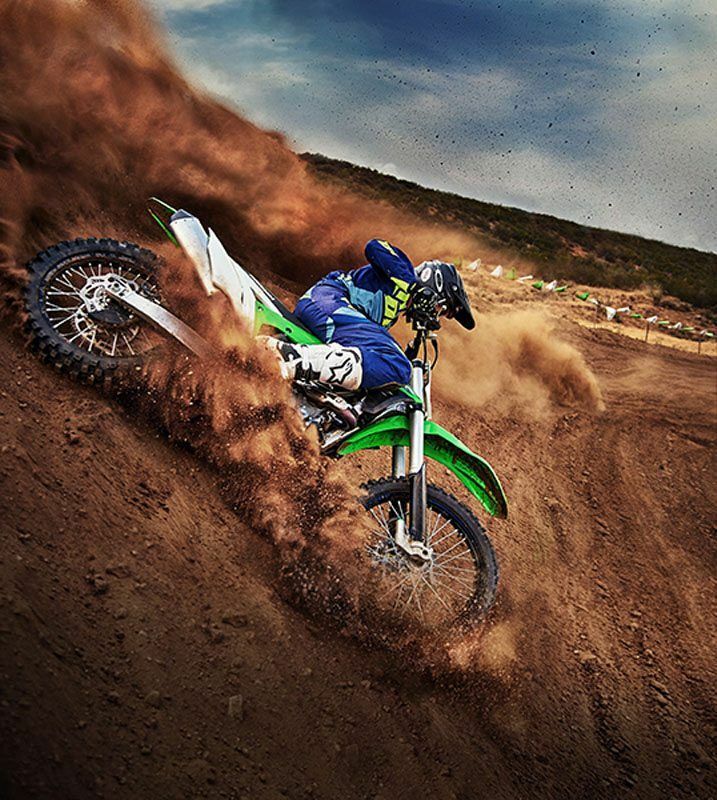 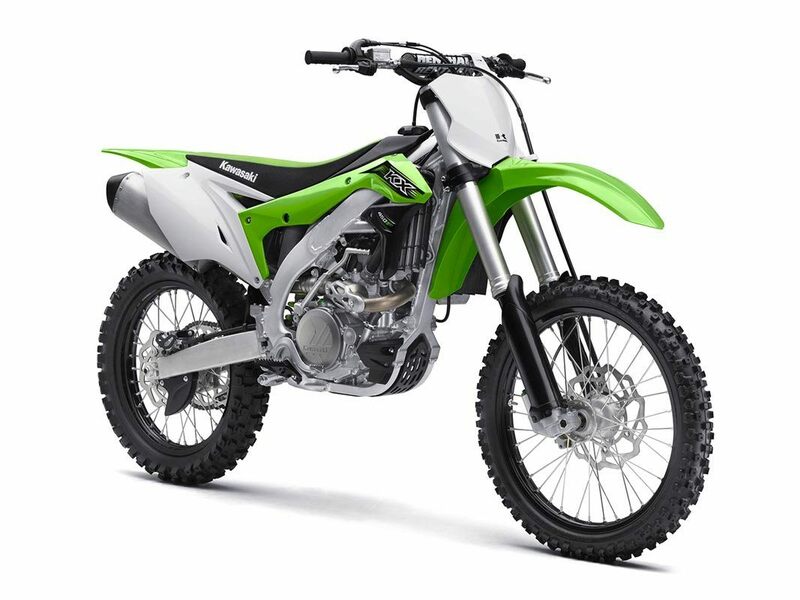 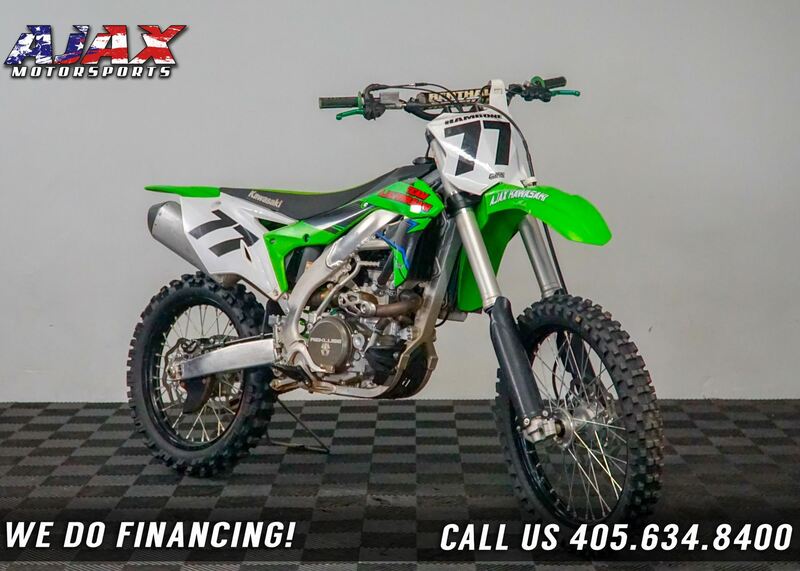 The KX®450F motorcycle features several advanced ignition and fuel-mapping systems for advanced and precise adjustability. 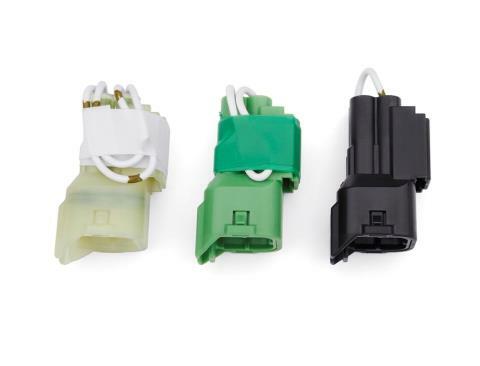 FI CALIBRATION KIT: Handheld FI calibration kit eliminates need for laptop and 12V battery at the track. Allows the user to adjust fuel and ignition settings for ultimate performance. Can store up to seven preset maps for different tracks. 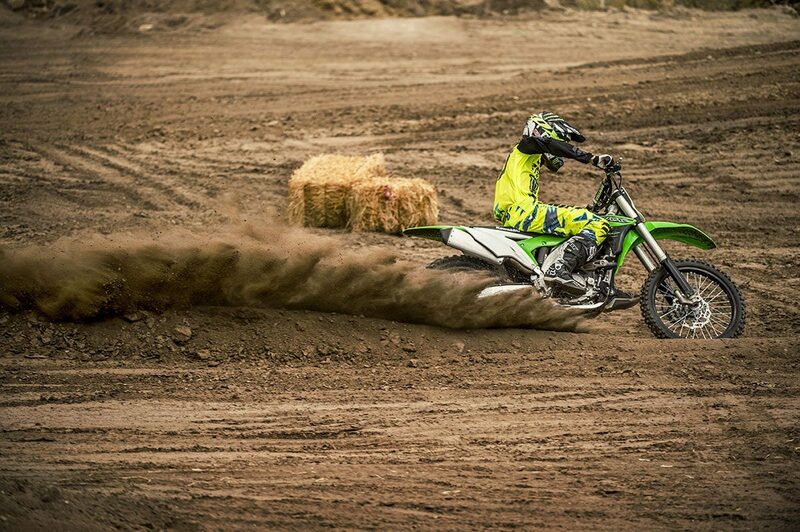 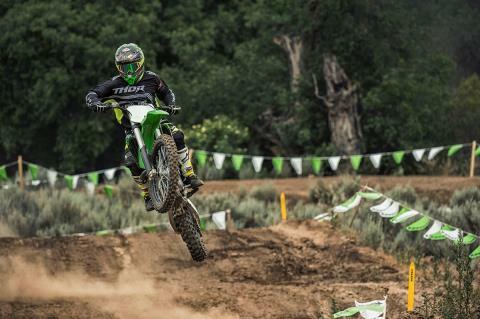 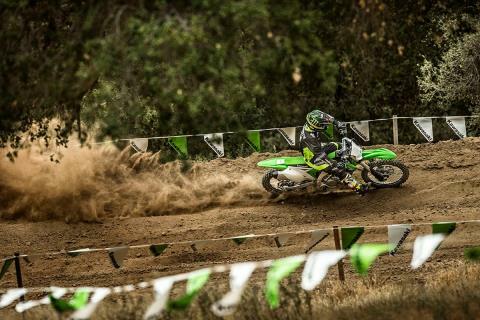 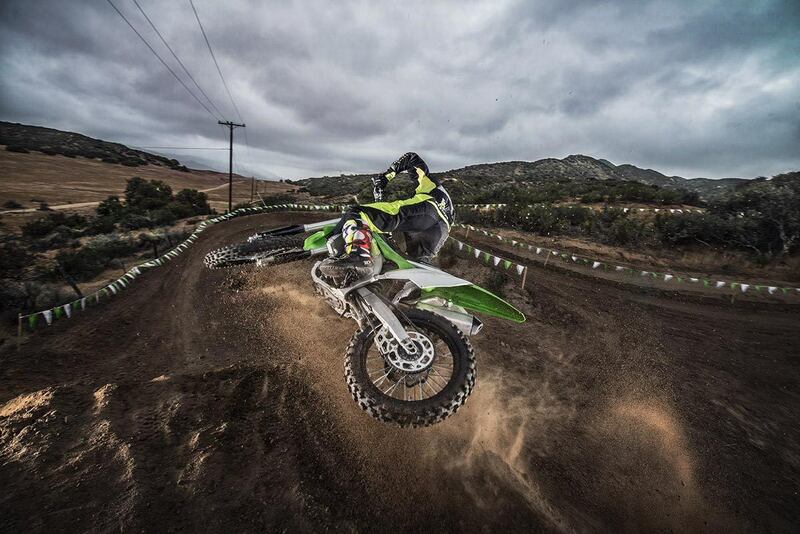 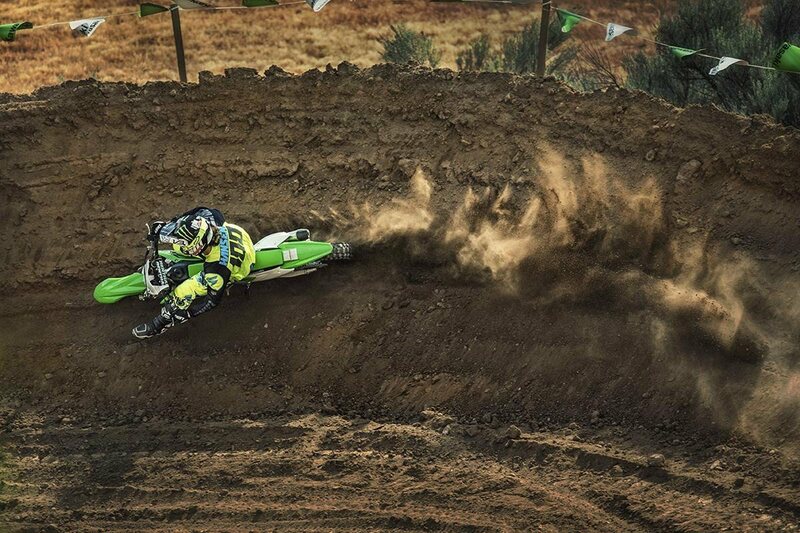 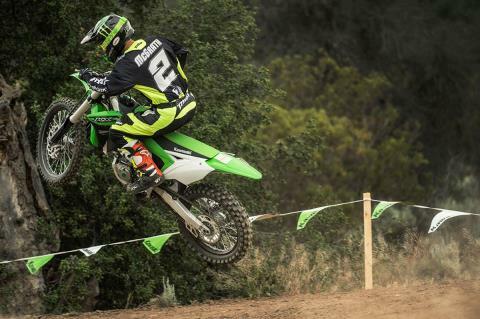 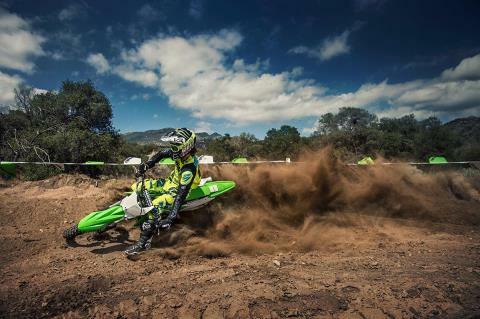 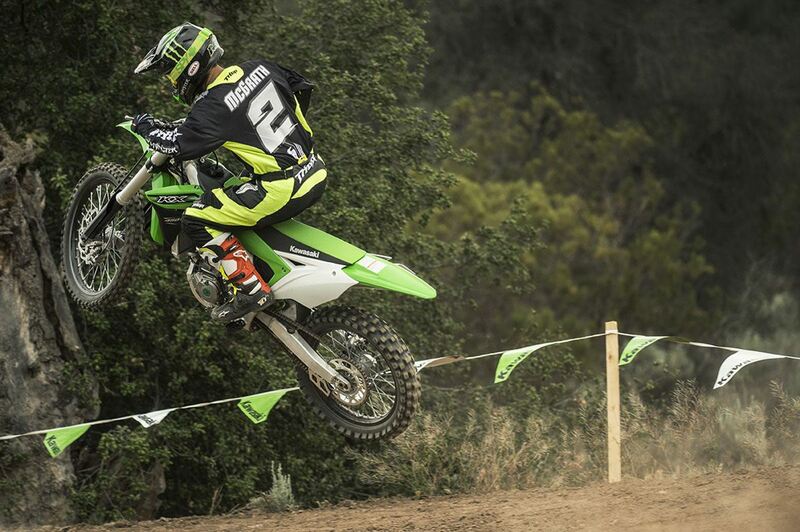 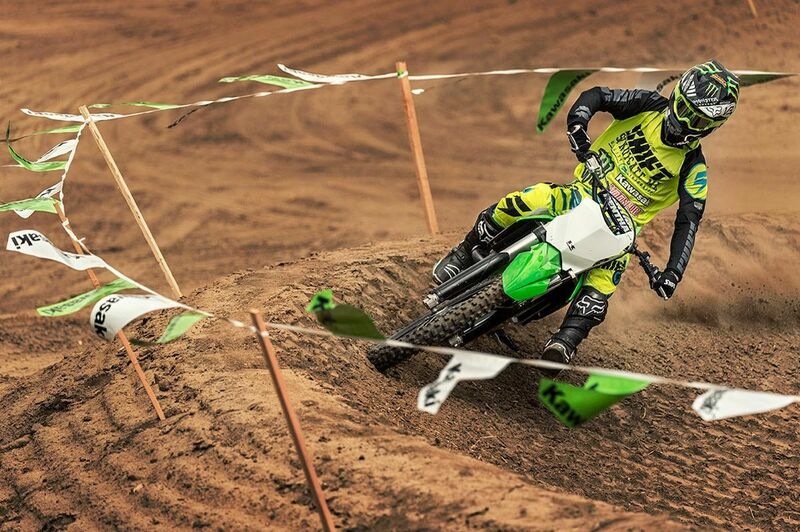 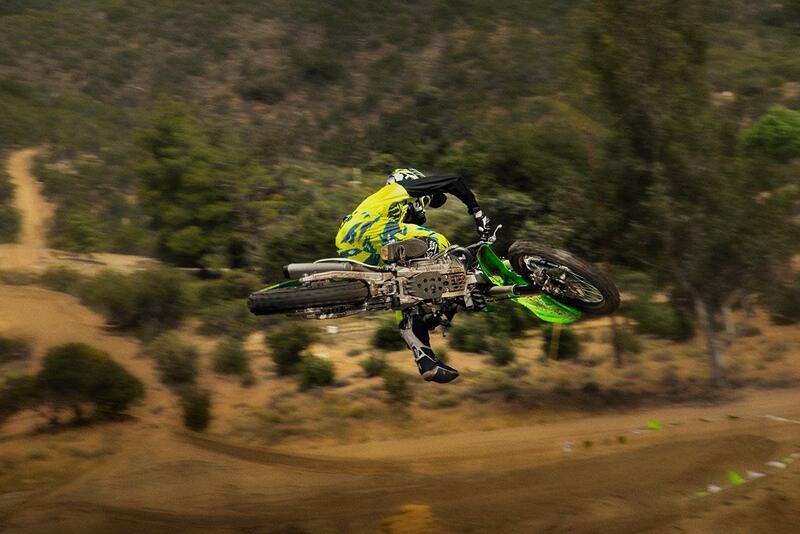 LAUNCH CONTROL MODE: Race-team-derived feature for grabbing the holeshot. 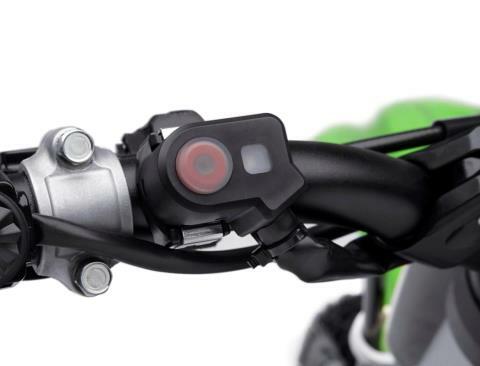 Engages with a press of a button. Functions in first and second gear. 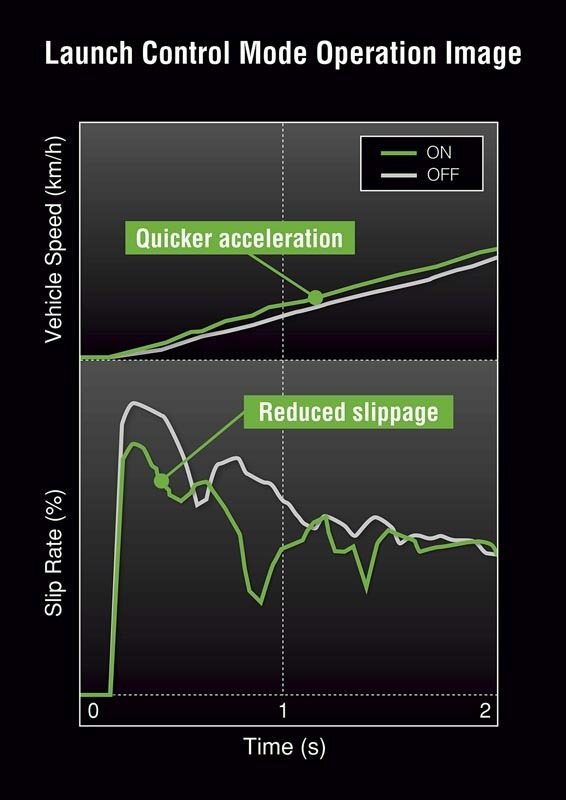 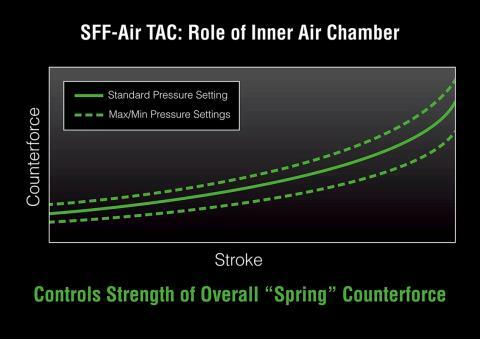 Precise ignition timing helps ensure quicker acceleration with less slippage. 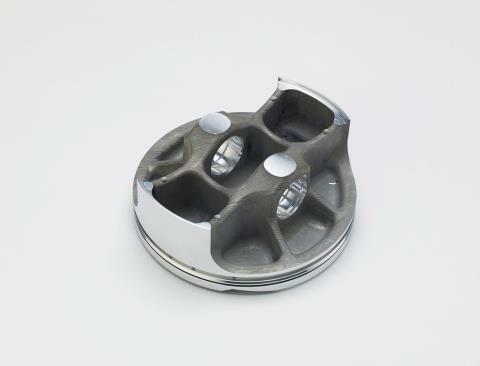 ENGINE: Race-team-inspired bridged-box bottom piston is lightweight and revised to match new intake valves to optimize combustion efficiency for maximum increased performance at all RPMs. 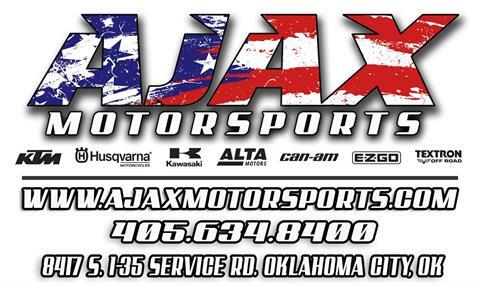 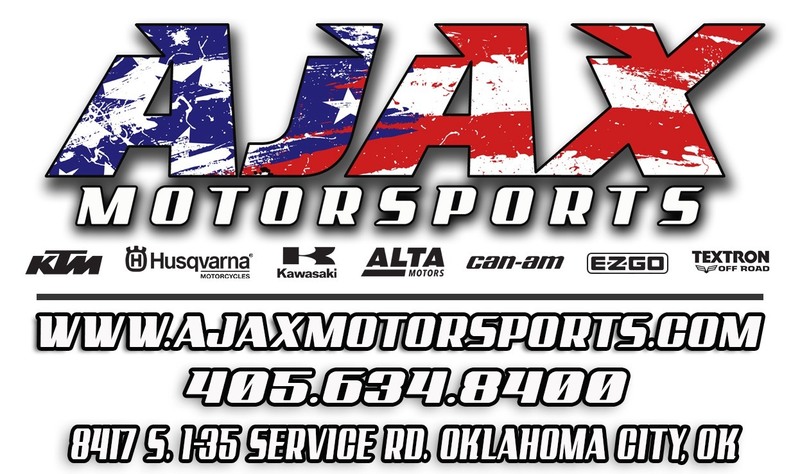 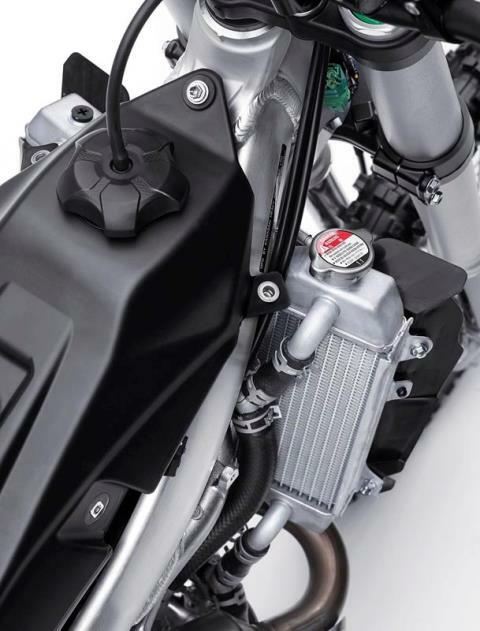 Lighter, more powerful engine with improved throttle response, broad power deliver, and increased peak power. 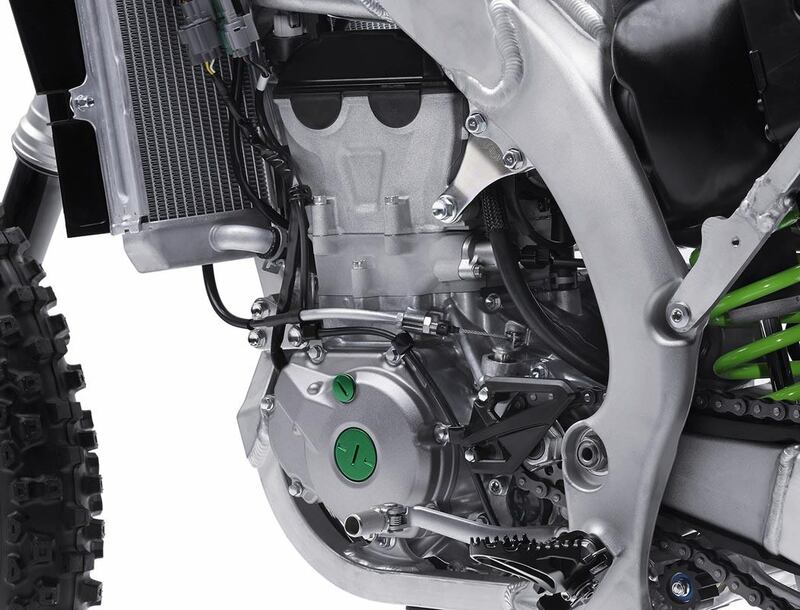 INTKAES: New high flow airbox with rear air intake channels. 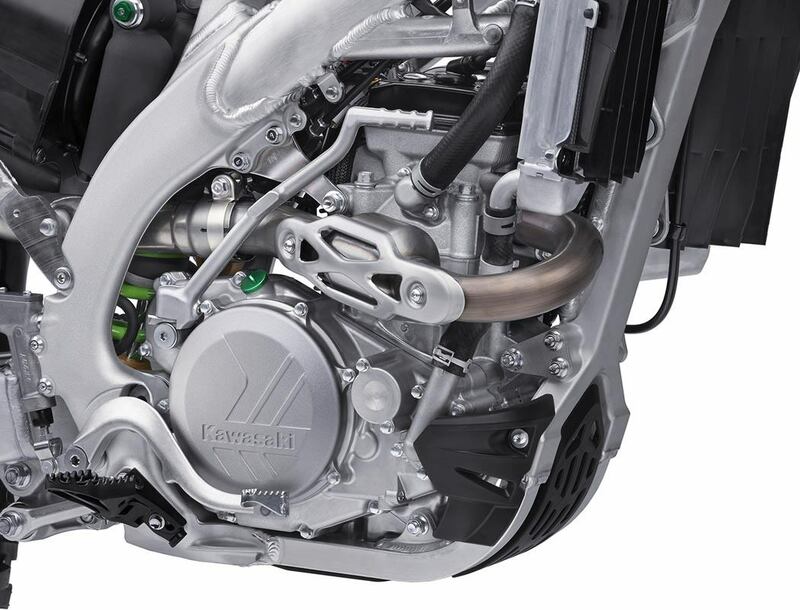 Rear seat intakes ensure clean airflow and contribute to reduced engine response. EXHAUST: New exhaust header with integrated resonator for improved throttle response at low RPM and reduced exhaust sound level. REVISED SHOWA SFF-AIR TAC FORK: New lighter inner fork tubes with reduced rigidity to match the new chassis and improve front end feel. 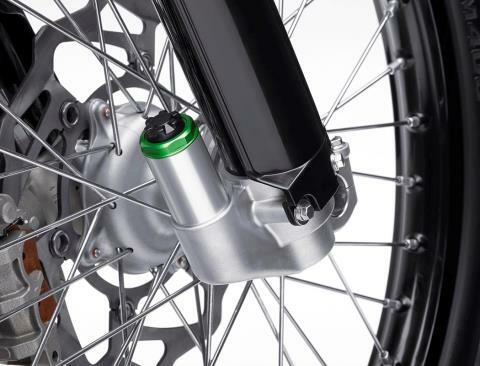 New low friction fork seals. 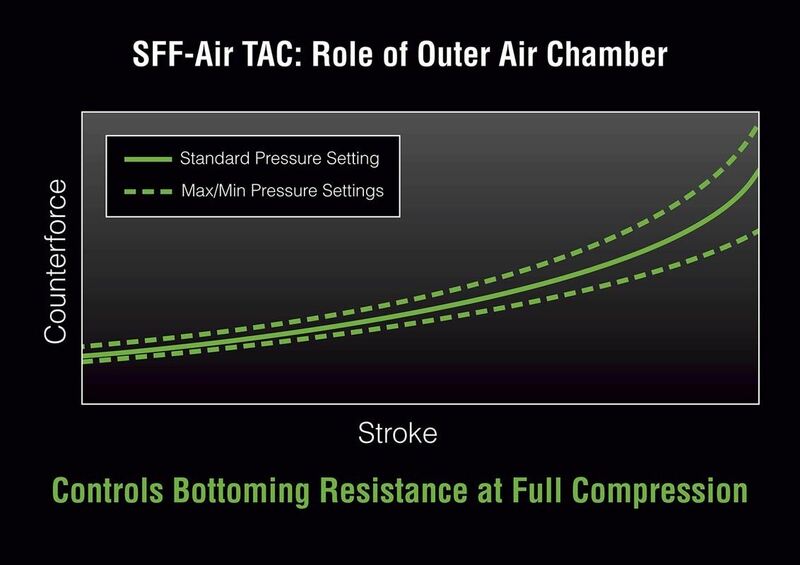 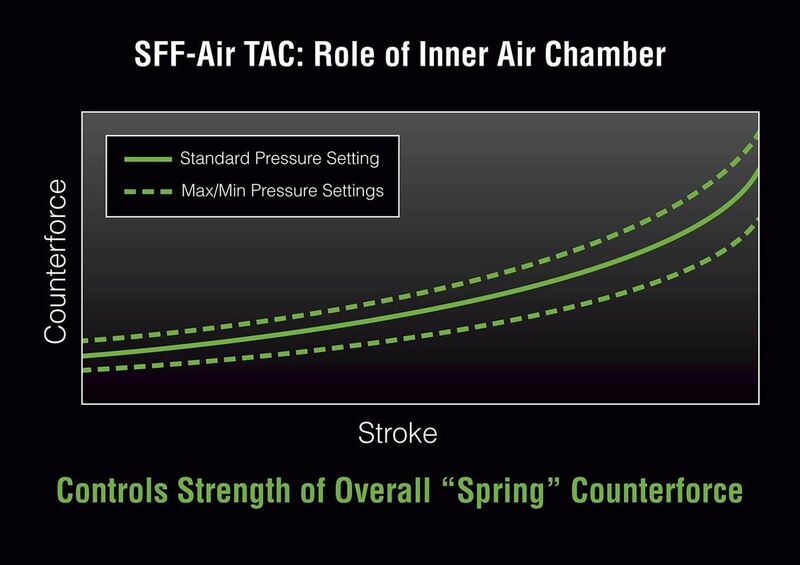 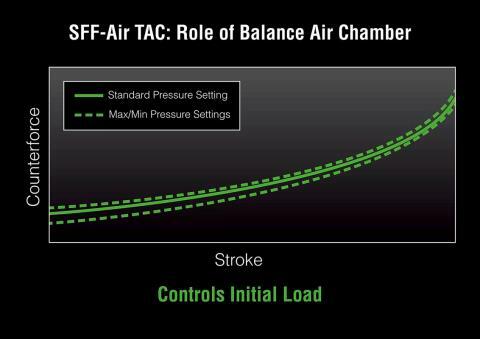 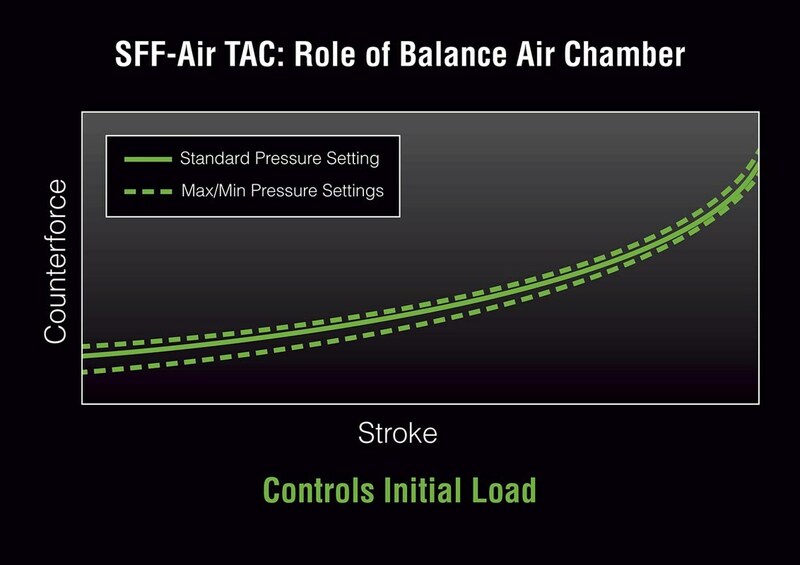 New revised valve settings.